The Australian Open Final concluded with the miserable route of Rafael Nadal by the impregnable defensive arsenal of Novak Djokovic. The result was somewhat of a foregone conclusion because Nadal has not come close to beating Djokovic on hard courts since the US Open finals in 2013. It’s all about the match up. The Djokovic versus Nadal matchup favors Djokovic overwhelmingly and in more than one ways. Nadal’s killer crosscourt forehand plays to the stronger backhand wing of Djokovic and sets up perfectly for a down the line placement, by Novak, onto Nadal’s weaker backhand-side. Djokovic’s flatter shots, moreover, are customized to exploit Nadal’s high rising top-spin shots and Novak can also out-grind Nadal. Clay is the only surface where Nadal stands a 50.1 to 49.9 shot against Djokovic. 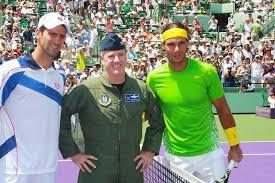 Didn’t Nadal tweak his service in 2010 too? Nadal added a few MPH to his service back in 2010 and enjoyed a nice run at that time too. He, however, reverted to the old motion because serving harder against quality returners results in quicker returns which, in turn, do not allow Nadal enough time to prepare for his helicopter forehand, or set up points for the grind. Nadal did not face a quality returner until the finals, and when he did, his re-tooled and faster service turned into a liability. Novak Djokovic is enjoying another great run in his career. Novak Djokovic has now won three slams in a row and, we believe, is the favorite to win the French Open this year. Rafael Nadal is no competition to Djokovic on any surface now, just like Roger was never a competition to Nadal on the clay. We believe Nadal will go down in straight or, at most, four set to Djokovic if they collide at the French Open this year. Novak may win the calendar slam in 2019. Novak has a reasonably good shot at winning four in a row, and, we believe, may even win the calendar slam in 2019. ← Can Tsitsipas save tennis from the baseline bores while adding YouTube subscribers?